Editorial Note: This content is not provided by Chase. Any opinions, analyses, reviews or recommendations expressed in this article are those of the author’s alone, and have not been reviewed, approved or otherwise endorsed by Chase. Earn $150 after you spend $500 on purchases within the first 3 months. The Chase Freedom® card is a great cash back option for those who want to optimize rewards on everyday spending but aren’t ready to pay an annual fee. Chase Freedom® cardholders earn an unlimited 1% cash back on all purchases. If that doesn’t sound too exciting, consider the rotating bonus categories. Every quarter, there are new 5% cash back categories where most people make purchases every day, such as gas stations, commuter transportation, restaurants, grocery stores and wholesale clubs. These rotating categories allow you to take advantage of different ways to earn throughout the year. You can earn 5% cash back on up to $1,500 in combined purchases you activate each quarter. The card also comes with a sign-up bonus that’s pretty easy to reach: you earn $150 after you spend $500 in your first 3 months from opening an account. That’s one of the lowest intro minimums in the industry. Another introductory bonus rewards new users with $25 when an authorized user is added to the card within the first 3 months the card is first used. You also get 0% APR on purchases and balance transfers for the first 15 months. And the rewards aren’t just easy to earn, they’re easy to redeem too. You can use them toward statement credit or direct deposit, as well as cash, gift cards, products and travel within the Ultimate Rewards® platform. Plus, cash back rewards don’t expire as long as your account is open. You can even combine points with other Chase credit card points and transfer points to other account-holders in your household. Chase Freedom® is a great combination card if you’re also a Chase Sapphire Preferred® cardholder. Chase also offers a wide range of security, purchase and travel protections as well as exceptional fraud monitoring. That means you can use your card with confidence. And if any issues should come up, Chase customer service is very dependable. While the Chase Freedom® card is great if your spending habits align with the bonus categories, you’ll have to make sure you opt in to the bonus category each quarter. That means logging onto your account and activating every 3 months. Only the 1% cash back rate is automatic. This can be a hassle for some people, but if you stay on top of the calendar and set optional alerts, you shouldn’t miss out on a single dollar. Chase Freedom® has an easy-to-reach bonus, high cash back rates on everyday spending, and extremely versatile rewards - all without charging an annual fee. Review the rotating categories and plan your purchases ahead of time to earn maximum rewards. Purchase APR: 17.24% - 25.99% Variable. APR for Cash Advances: 27.24% Variable% Variable. Cash Advance Fee: Either $10 or 5% , whichever is greater. Foreign Transaction Fee: 3% of each transaction in U.S. dollars. Late Payment Fee: Up to $15 if the balance is less than $100; up to $27 if the balance is $100 to less than $250; up to $37 if the balance is $250 or more. Returned Payment: Up to $37. 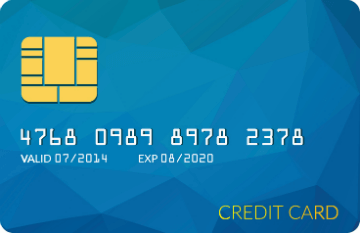 Advertiser Disclosure: The card offers that appear on this site are from companies from which SmartAsset.com receives compensation. This compensation may impact how and where products appear on this site (including, for example, the order in which they appear). SmartAsset.com does not include all card companies or all card offers available in the marketplace.